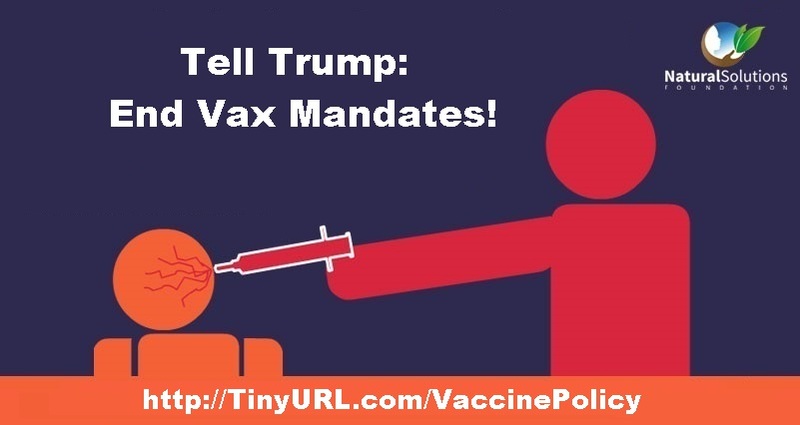 Donald J. Trump About to Issue Vaccine Executive Order? As reported by OpenSourceTruth.com, various draft executive orders appear to be filtering their way out of the White House. Many of these leaked documents have been near copies of the final order. Today a new one appeared. This one on an issue about which Candidate and President-elect Trump spoke repeatedly: vaccination safety. The alleged order begins, as do all White House Executive Orders: “By the authority vested in me as President of the United States by the Constitution and the laws of the United States of America…” and goes on to cite authority from the National Childhood Vaccine Injury Act of 1986 (42 U.S.C. §§ 300aa-1 to 300aa-34). As the number of Executive Orders issued by the new President increases, many believe it is just a matter of a short time before Donald J. Trump makes good on his vaccine safety campaign promises to establish a Vaccine Commission and take quick action to protect children from vaccine injuries.